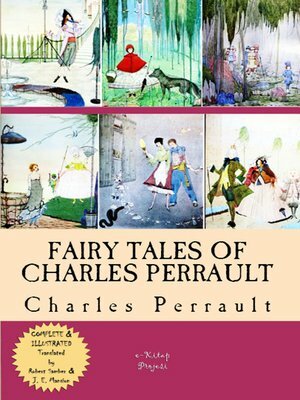 Many of these stories were already well-known to people even in Charles Perrault's time, but they had never been written down. They were stories told orally (which means spoken out loud), around the fire or at bedtime, to entertain and teach children. Some stories that Perrault wrote down were popular all over Europe, and some were also written down later in Germany as Grimm Fairy Tales. "ONCE there was a gentleman who married, for his se-cond wife, the proudest and most haughty woman that was ever seen. She had, by a former husband, two daughters of her own humour and they were indeed exactly like her in all things. He had likewise, by another wife, a young daughter, but of unparalleled goodness and sweetness of temper, which she took from her mother, who was the best creature in the world.."